If your lease is nearing its maturity date and you’re curious about what to do next, come talk to the experts at our Mercedes-Benz dealership near Middletown, NJ. Whether you’re looking to turn in your lease so you can sign a new Mercedes-Benz lease, you want to buy your leased vehicle outright, or you just want to turn in your lease, you’ll find the help you need at our Mercedes-Benz lease return center. The experts at Contemporary Motor Cars are happy to answer any and all questions you may have about end-of-lease options, ensuring you are never left in the dark! You can contact Contemporary Motor Cars by calling us at (732) 842-5353 or filling out our Mercedes-Benz lease return form. Once we have your information we can begin the lease return process, and we’ll be here to help every step of the way. The best part about returning your lease at our New Jersey Mercedes-Benz dealer is that there is never any obligation for you to buy from us. We’ll accept your lease return whether you bought it from us or not, and you’ll never feel pressured to buy a new model once your lease return process is complete. 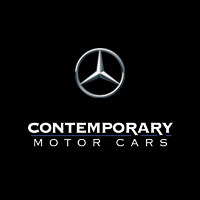 You deserve a hassle-free experience, and that’s exactly what you’ll get at Contemporary Motor Cars!